The following links to articles, sites, databases, and fact sheets are curated by the Public Affairs Committee. If you run across a site that you think your fellow SSR members would find useful, please let the Committee know about it. 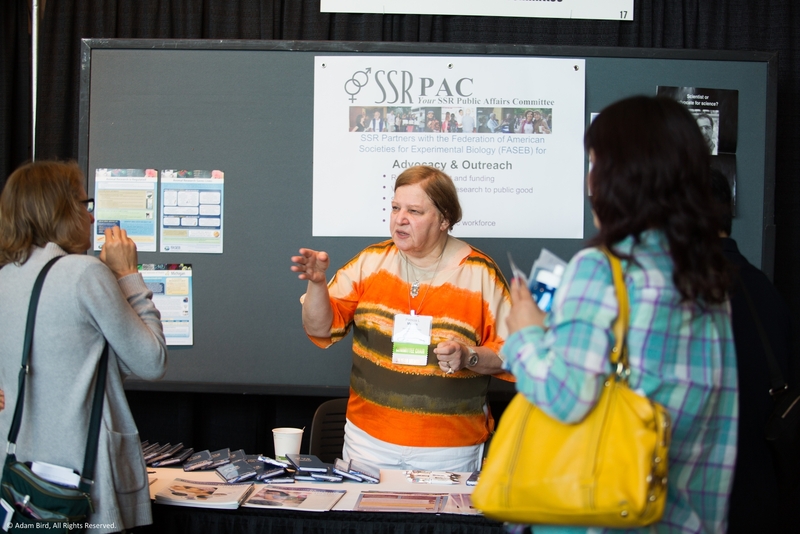 Dr. Patricia Morris spreads the word about activism at the Public Affairs Committee booth at the 2014 Annual Meeting in Grand Rapids, Michigan. The PAC ensures that SSR is represented and informed on policy issues such as research funding, stem cell research, and animal use.